Whether you wear shiny hoops, dangling beads or glittering gemstone earrings, it's smart to keep your jewelry clean. Earrings spend all day in contact with your skin, and if they're not properly sanitized they can cause an infection. It's especially important to clean your earrings if your piercings are new. After getting your ears pierced, the holes need time to heal properly -- and that makes them vulnerable to infection-causing bacteria. It's easier to remove your earrings to disinfect them, but you can wipe them clean even if they're still in your ears. Wash your hands thoroughly with warm water and soap to prevent infection from bacteria that can spread to piercings. Remove your earrings from your ears, if possible. If you just got your ears pierced, you shouldn't remove the earrings for at least six weeks or the holes will close completely. 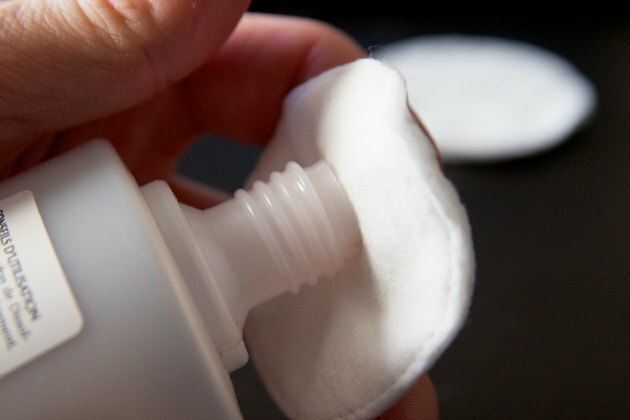 Dip a cotton pad in rubbing alcohol, hydrogen peroxide or antibiotic ointment. If the ear-piercing technician gave you a sanitizing solution to use, use that instead. 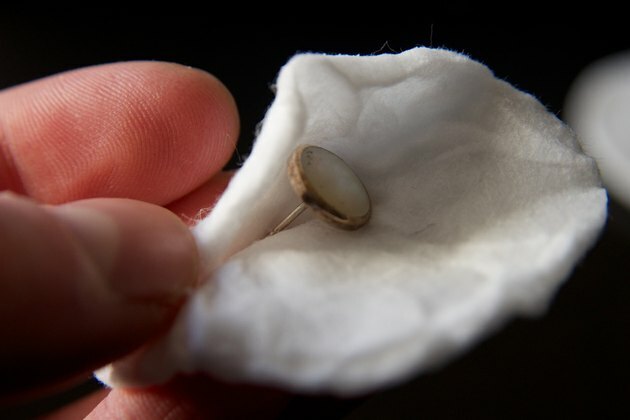 Wipe the front and back of the earrings with the cotton pad. 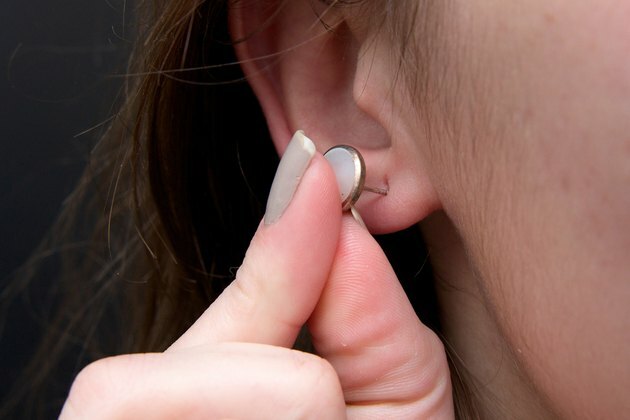 If the earrings are still in your ears, rotate them carefully as you wipe. 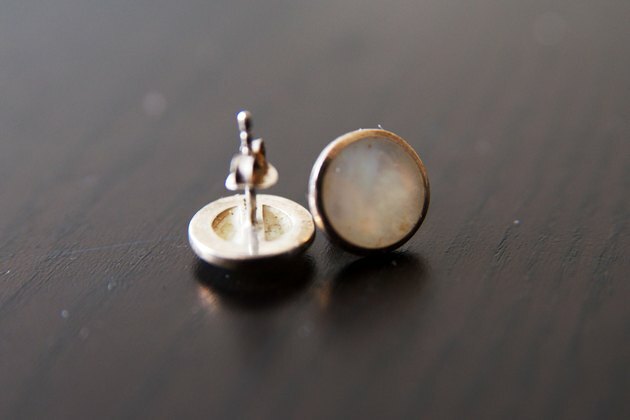 If you have any other earrings you plan to wear, wipe them down too. You should even do this with new earrings just to stay safe. It's important to keep your piercing holes clean. Every day, wipe piercings gently with a cotton pad dipped in hydrogen peroxide or rubbing alcohol. If you can't remove the earrings, rotate them gently so the pierced holes keep their shape. After the first six weeks of new piercings, remove your earrings nightly to give your ears a break. If you experience any pain, swelling, redness or tenderness in your ear piercings, you may have an infection or allergy to the metal in your earrings. Ask your doctor for help.